"I am most afraid of our important, consequential work getting upended because our business model is further disrupted." - Commercial Appeal managing editor Mark Russell in an interview published by Poynter.org, 1-13-2019. "In April, The Post published the editorial headlined 'As vultures circle, The Denver Post must be saved,' calling on Alden Global Capital to sell the newspaper after it cut 30 more positions in the newsroom, leaving it at a fraction of its size just a few years ago. Then in May, three top figures at the Denver Post, including its former owner, resigned amid budget and staff cuts." 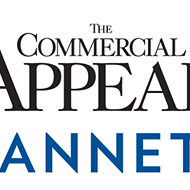 - From an AP report about Alden-backed Digital First Media's move to acquire The Commercial Appeal's parent company, Gannett Co. Published 1-14-2019. If MNG/Digital First Media successfully acquires The Commercial Appeal's parent company, Gannett Co., it's time to start a dead pool. 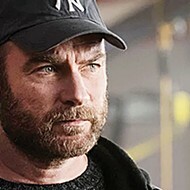 Only, instead of celebrity deaths, we'll bet on daily newspapers. Also, I'm calling first dibs: The Commercial Appeal, 2021 — RIP. 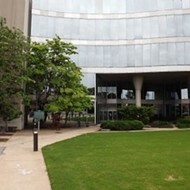 After news broke that Digital First media was making moves to acquire Gannett, many local media watchers wondered if there was any juice left to squeeze from Memphis' already greatly diminished daily newspaper. It's a fair question, but only a tiny piece of the bigger picture. Whether or not the CA can withstand another round of screw-tightening, the market's certainly interested in finding out. Gannett stock rose 21 percent following the announcement and, according to a report in The Wall Street Journal, this makes it harder for Gannett to, "justify turning its back on the offer," or go forward with plans to expand its own digital footprint by purchasing Gizmodo Media (Previously Gawker Media). Frankly, if not for Digital First's reputation as "The Death Star of newspaper chains," the company's reasons for making an offer and encouraging Gannett to pursue other offers, might sound downright noble. In the letter, Digital First accused [Gannett's] management of poor stewardship and of damaging the company’s financial position by making several “aspirational digital deals” that haven't paid off. It demanded that Gannett put all digital acquisitions on hold and hire bankers to review strategic alternatives. "The dirty little secret is that DFM learned — at least for now — that it can sell longtime readers an inferior (or, to use the technical term, crappier) newspaper and only 10 percent of reach each year will cancel. Do the math, though, and it’s clear that much of America outside the biggest cities will become news deserts by the early 2020s, after Smith and his fellow hedge-funders have sucked out every last drop." Is Bunch being alarmist? He's certainly not the only media watcher to sense a disturbance in the force. I caught a similar chill and the market's positive response to the Digital First news instantly called to mind a line in James T. Hamilton's 2003 book All The News That's Fit to Sell. When applied to the information business, economics really earns its reputation as "the dismal science." Hamilton's book is aging well. It delves into how markets shape media bias with attention paid to how little the value of well-informed communities has to do with the value of commodified media product. 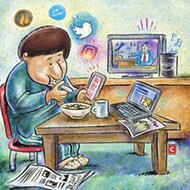 It more or less describes and defines the kinds of changes we've all observed in local media markets. It's what happens when the public's interest shapes public interest and profit drives all. What happened to Alderaan can happen here. 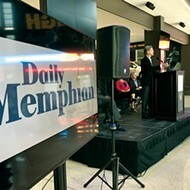 The Digital First news took me back to that happy moment in 2018 when The Daily Memphian, a new startup, siphoned away much of the CA's top talent, effectively cloning the ailing Gannett property in a locally owned but digital-only environment. Most media consumers cheered, but I went full Cassandra on social media and any excitement generated by the prospect of a new information startup was dampened by the sense that we'd now crossed some kind of risk threshold. 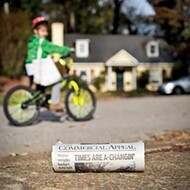 Every media startup's a dicey proposition; now the Gannett-damaged CA had been cut in half — its talent gutted by a digital twin with good intentions. The idea of having no daily non-broadcast news source in Memphis within the next decade had to be seriously entertained. In spite of recent and well-justified optimism, I once again submit my modest observation: The sky is falling. Maybe not for everybody and maybe not right now. But someday and soon and as reported elsewhere, there are no good guys in this deal. 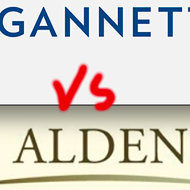 But if Digital First takes Gannett there won't be a Commercial Appeal in 2022.